Stephen / Douglas Antiques (Call 603-903-5023 or 802-463-4296.) 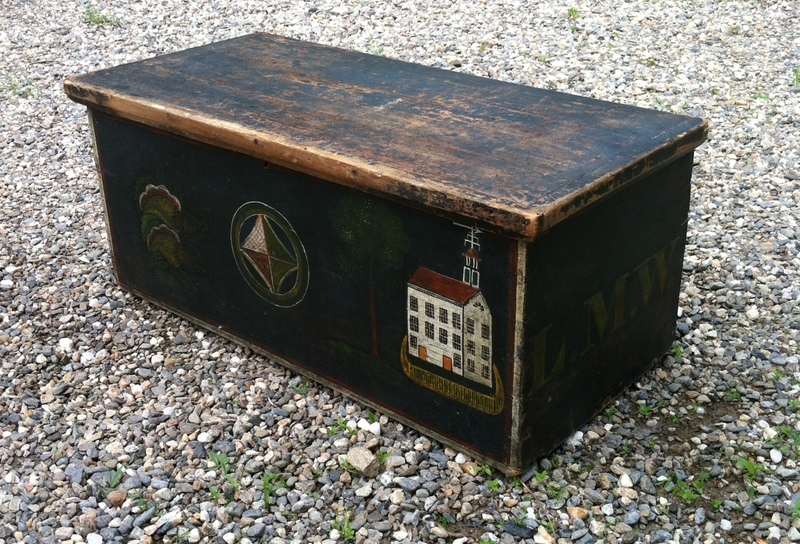 Paint decorated seaman's chest - original decoration, mid 19th century. Maritime Province.